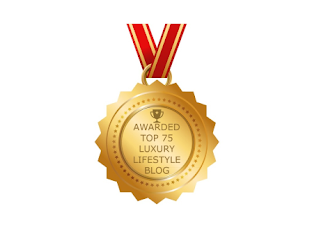 You are here:Home » Luxury Indulgence » Louis Vuitton Monogram Accessories: Are You A LV Fanatic? Fashionista, are you a fan of the Louis Vuitton French fashion house? 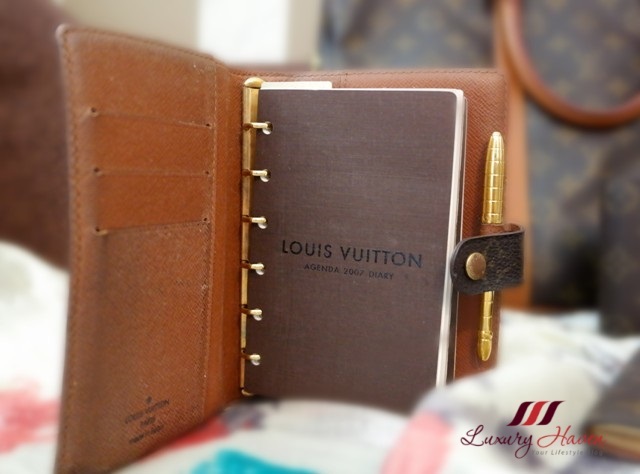 Do you own a collection of LV luxury goods? Well, I got my first #LouisVuitton bag when I was in my early 20s, and I have never looked back since. 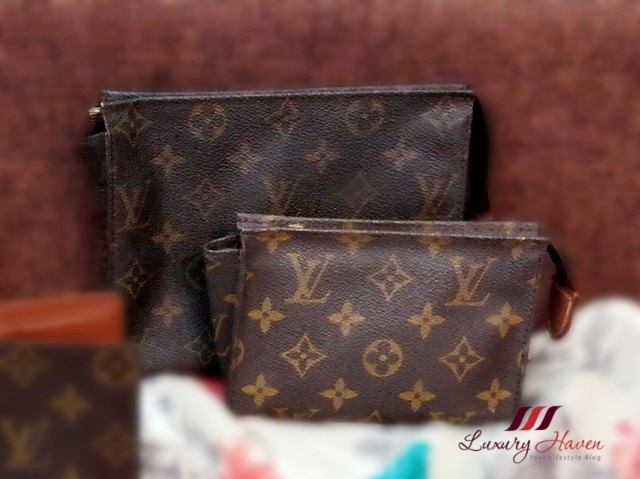 I probably owned twice the amount of LVs in this photo, but have since sold many of them making ways for other brands. There are couple of items missing here, which I have realized only after the photo shoot. We tend to forget what we own in our wardrobe, don't we? Lol! Well, I have included them in the post below. Let's see if you can spot what's missing! Louis Vuitton's Monogram canvas has been at the fingertips of the fashion elite for over 150 years. One of the reasons why I have been collecting the range of Louis Vuitton Monogram is because it makes it so easy to pair with other items. I like to complete my bag with matching accessories; hence this is the best way to save money. Don't you think so? Hahaha! While drafting this post, I realized the list was becoming longer and longer. Hence, I have decided to split it into 3 parts instead. 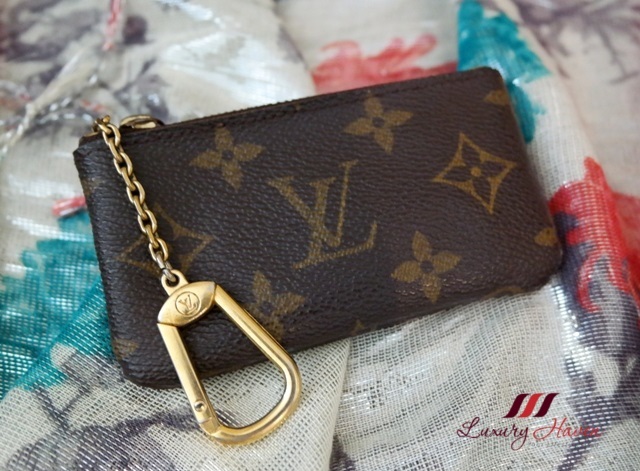 Today, I am just going to talk about my LV accessories. A small pouch to carry whenever I am in my neighbourhood. I bought it because I could easily slot in my iphone 3, then iphone 5. But sadly, the iphone 6 is a tat too big unless I force it in. Sigh! 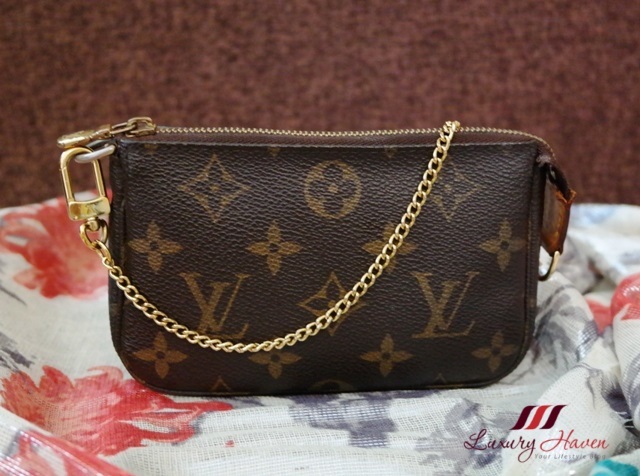 This LV Monogram Mini Accessories Pochette has a nice polished gold metal chain strap with D-ring where you can attach to most Louis Vuitton bags! During my days with Singapore Airlines, cabin crew like to use the Monogram Canvas Poche Toilette 19 to hold their galley tools, like wine opener and cockscrew. These days, I use it to put my toiletries during my travels. I also have a smaller version of the above. 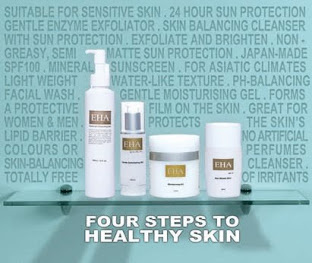 It is a good size to hold beauty products like sunscreen, lip gloss and hand cream in my handbag. I have own quite a handful of LV wallets over the years, and finally left with this LV Billfold as the rest were simply too bulky. This six-card billfold is compact, yet still has plenty of compartments and features for all your essentials. A classic diary which I carried with me to work when I was working as an Office Manager those days. It can be used as an address book, a calendar, or a notebook. 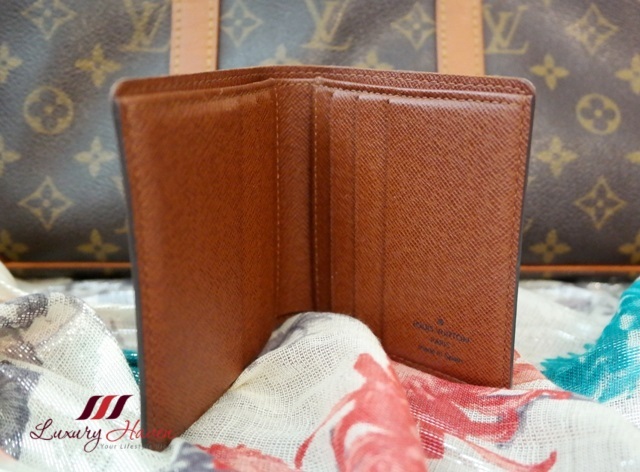 The monogram canvas with cross-grain leather lining has 3 inside credit-card slots. Yearly paper agenda refill is about USD 100+; quite a painful investment. Lol! For convenience, I also bought a slim pencil featuring a refined golden brass finish to add to my LV Small Ring Agenda. You probably won't need this address book now with all the advanced technology. 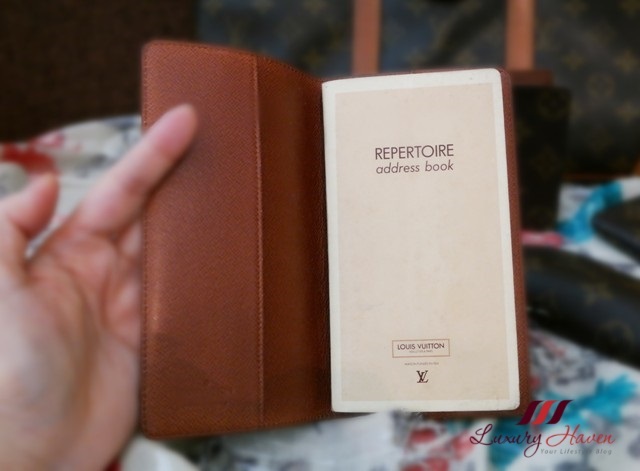 But back in those days, I add my contacts in this LV Pocket Agenda. I either put my glasses or shades in it. 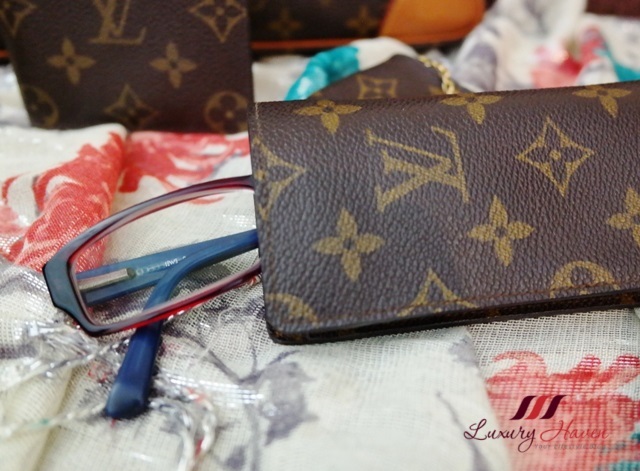 This LV Sunglass Case has a nice suede interior that helps to clean and protect the shades. Nice LV Coin Pouch with attached key clasp to hold my keys. This is my 2nd passport holder. 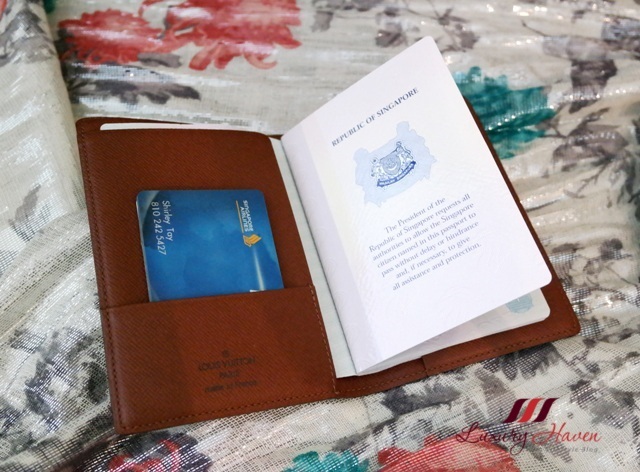 The 1st one was much bigger as our Singapore passport was of a bigger size. I have since bought another one to hold our new passport. Beautifully crafted in Monogram canvas, it is a great holder for your business cards etc. Well, did you miss my post on Chanel Lambskin Matelasse Hobo: What's In My Bag? Anything caught your eye? 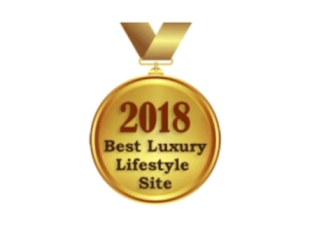 Are you a fan of Louis Vuitton too? How many LV items do you own? Read more at Louis Vuitton Monogram Canvas Bags: What's Your Pick? don't laugh at me if I say I never own a single LV. ***Head down*** since young, I am not into this thing all I know work work work work...haihhhh...what have I missed? Love your collection. I am sure its very valuable and precious. 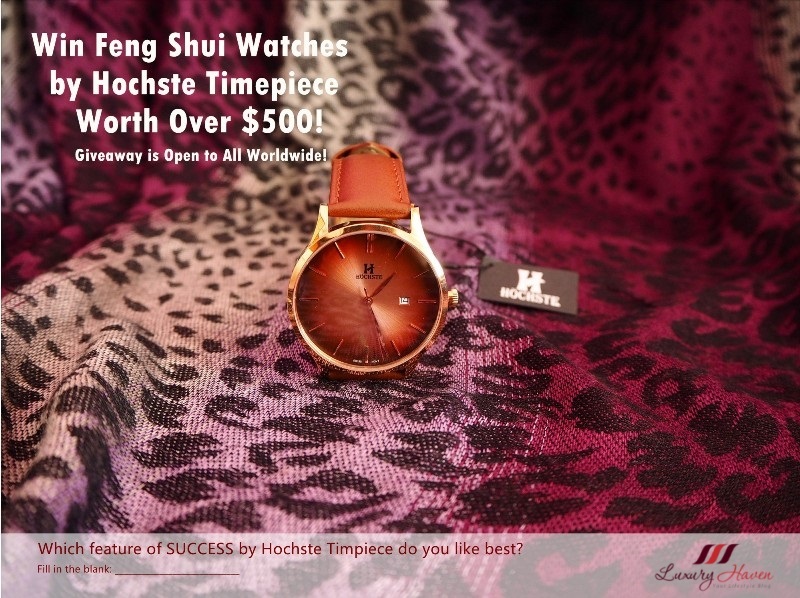 Cool pieces, you have a great collection dool... I love LV!!! 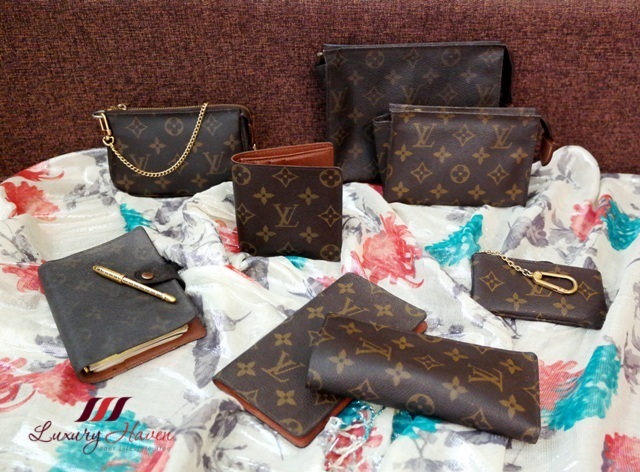 Really a great collection but unfortunately i'm not a great fan of LV monogram..
what a very sophisticated and pretty collection! I especially love that cute ,matching wallet, ties it altogether haha. Great brand love it all the accessories are perfect. LV, is very sophisticated brand! Shirley!!! What a huge collection. Not a fan of LV. Over here its over-rated. Can't compete with aunties who actually carry to pasar malam. 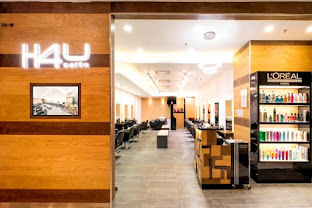 OMG you are in love with LV. I love coach bags. The answer is no but I can understand why some people are. 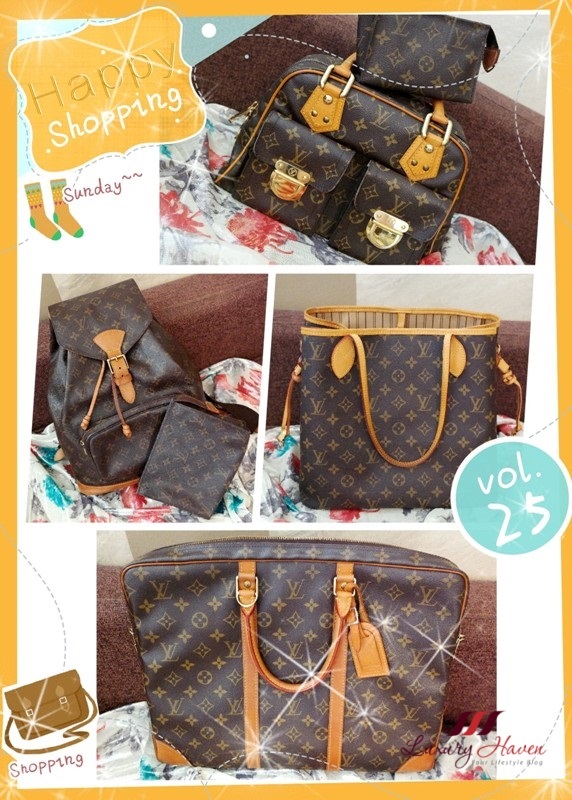 Wonderful LV collection. That LV agenda really caught my eye, it's so classy...but 100 dollars to change the paper inside every year? (If I understood well).....That sounds a bit too much. You got it right, Ivana! 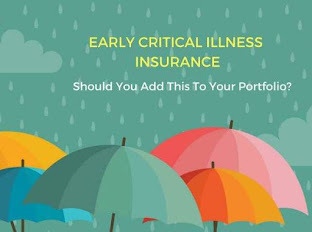 That's why I said it's a painful investment. Hahaha! That is quite a gorgeous collection Shirley! I have a vintage LV crossbody and a wallet which I love. Adoro estos accesorios son ideales todo un clásico la firma!! Everything is beautiful here, Shirley! That's A LOT of them Shirley! Nice collection! Aw.. Shirley, your collection of LV is amazing! My eyes popped with all of these goodies..
Wow! 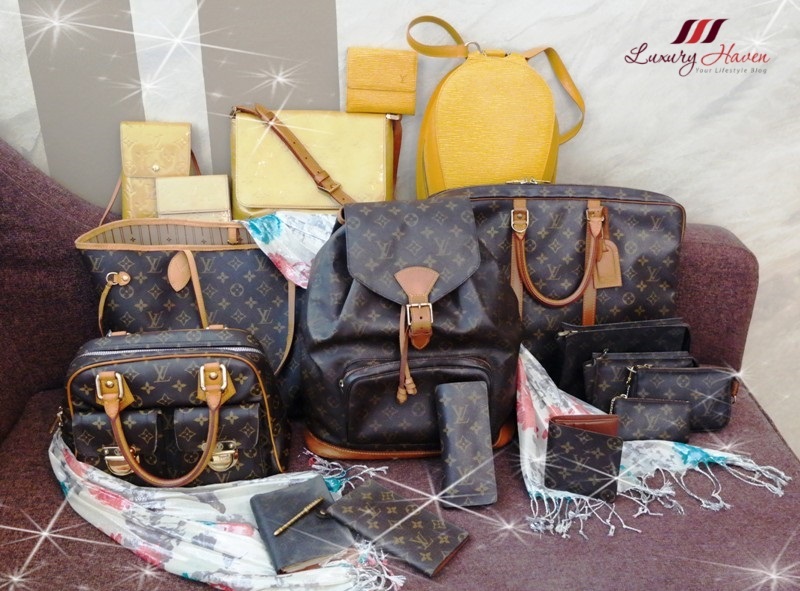 What a collection!~ I dun hv any LV... sob sob..
you have a great collection on LV bags. 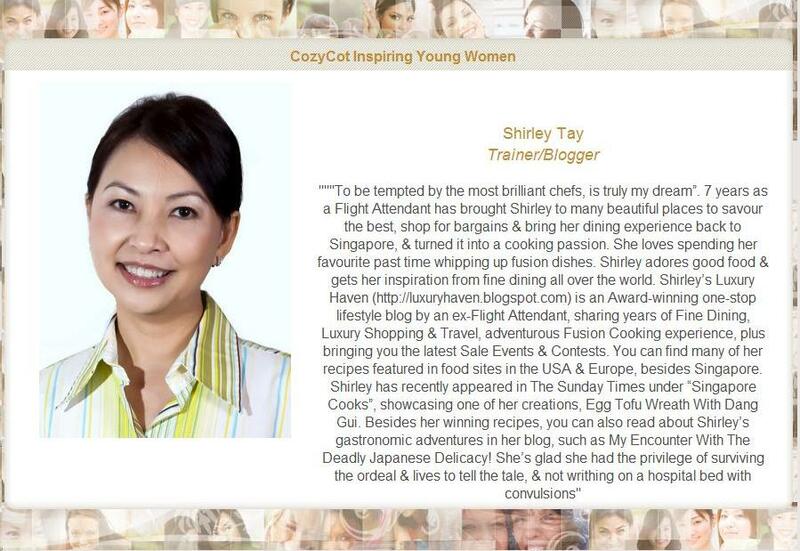 Wow, Shirley, you are really a LV fan. This is a nice collection. I'm looking forward to seeing the rest. I'm not a Louis vuitton fan but you have a great collection!! Love it. I have my 1st LV bag last year when hubby bought for me when he was in Paris! Ahhh I remember my first LV too. I was 19 and it cost an arm and leg but didn't care. From there my collection grew but now it's not as vast as what it once was. I sold most of it and I wish I hadn't. Though I've still got some old faves, like my kepall and suhali leather tote. I've also got a black Murakami wallet that was worn to death and I can't bear to part with it either. Even though I can't quite use it much anymore lol. That is definitely a gorgeous collection! That's quite a collection! I saw the LV store when I was in Paris, but I didn't go in. I figured it was best to avoid temptation. 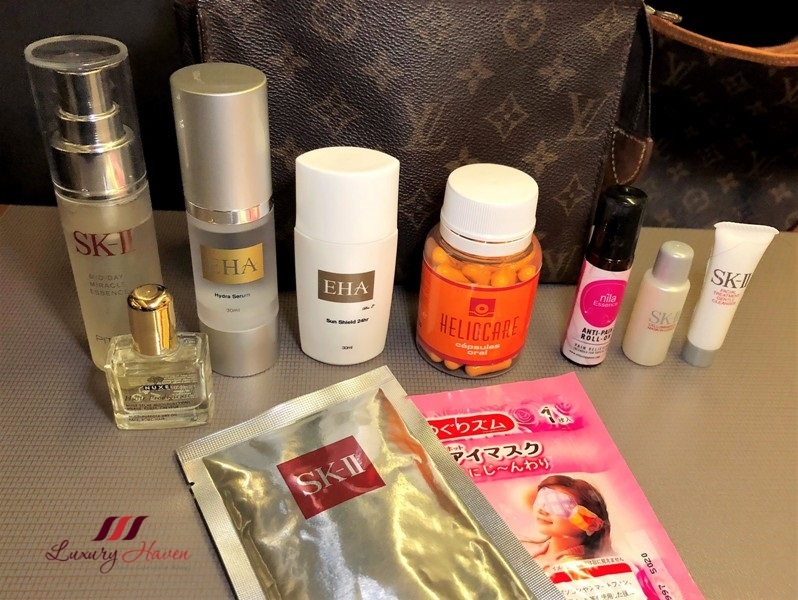 Wow, you really have a lot accesories from LV. Thanks for popping by, Sorano! 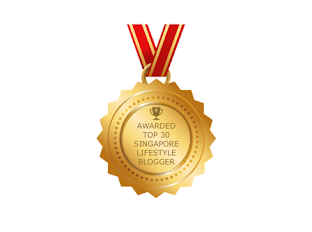 Tried in vain to leave a comment in your blog; I got a forbidden error msg.